Car wrecks occur every day by the thousands. Sometimes they’re slight fender-benders, but other times these accidents cause injuries that can impact the quality of life of those involved. 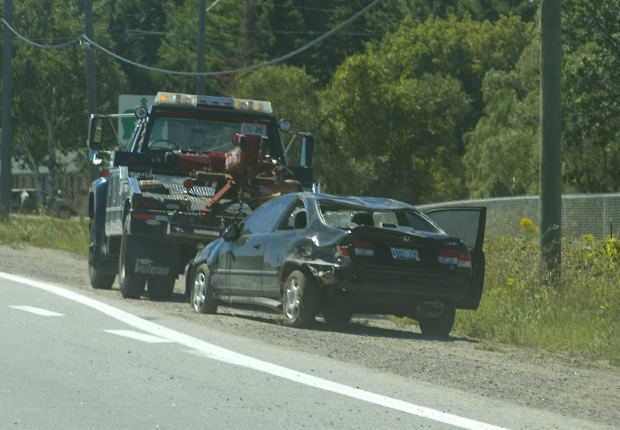 Having a plan in place if you’re involved in a car wreck can help you if you are not severely injured. Talking through your plan with your family can prepare you and is an excellent step to take. We’ve outlined eight steps we would tell any clients to take if they are involved in an accident. If anyone in your vehicle is injured and needs immediate medical attention, call 911 as soon as you can. It’s important to get an ambulance headed your way as soon as possible, particularly if you are in a rural area. This can take time, as can the ambulance ride to a medical center, and time is your greatest enemy when you’re injured. If you or someone in your vehicle is severely injured, the rest of this list doesn’t matter. Nothing is more important than getting them the help they need to survive and recover. If you don’t believe you or someone else involved is badly injured, start documenting. Take photos with your cell phone. Get what you can from where you are in your vehicle. If you prefer, you can start videotaping. State the facts of what happened. Record damage to your vehicle and the other vehicle. Get a photo of their license plate and the make of the vehicle if at all possible, just in case they flee the scene. Use your camera on your phone to get info you might need later. If you exchange insurance information, you can snap a photo of their card to be sure you write down all of the information they give you correctly. Do both – the photo and a written exchange of information – each as a backup for the other method. Technology is great, but it does fail from time to time. Don’t discuss the accident with the other driver. Ask them if they are OK. If the other driver accuses you of causing the accident, stand up for yourself and tell the police officer everything the other driver said. Leave emotion out of it if at all possible. Accidents are, many times, highly charged and emotional. Don’t accuse anyone of wrongdoing, and don’t accept blame. Tell the other party you’ll discuss it later. If the other party is involved seems very angry or combative, it is best to call 911 and let police officers handle the accident. Don’t get out of the vehicle. The vehicle is your best protection against aggressive behavior. If you are able to safely do so, and especially if you believe the other driver is intoxicated, take video of the other driver walking around the accident scene. But only get this if you can do so safely. No evidence is worth an angry confrontation with another driver. Don’t sign anything from an insurance company until you’ve had a lawyer review it. Anything an insurance company asks you to sign, including paperwork from your own company, is usually bad for the motorist but great for the insurance company. Call an attorney. Even if you think your accident is only a fender-bender, it’s good to discuss your case with an attorney to be sure you aren’t overlooking anything. We offer a free consultation if you’d like to discuss your case with us. Contact the experienced accident attorneys of English, Lucas, Priest & Owsley LLP at (270) 781-6500 or use our online contact form. We will discuss your case with you.